“Steppterminal was conceived as an ensemble of hybrids between architectural fragment and autonomous sculpture. The series presents a set of ghost structures, without status or future, evoking a perpetual present—that of ruins, or unfinished construction, isolated in its own sovereign failure. Nicolas Moulin’s new piece will be composed of a total of 6 elements, the first two of which appear here. The piece draws from technical principles used in the modular constructions of brutalist architecture from the 1960s and draws particular inspiration from parts of existing buildings, reduced to 1:6 scale, here the IBM Center in La Gaude, designed by Marcel Breuer (Steppterminal 1) and Boston City Hall by Kallmann McKinnell & Knowles (Steppterminal 2). Exalting the radical and austere expression of raw concrete in buildings used for collective housing, administrative centres, and companies, brutalist architecture developed exponentially during the Trente glorieuses (the thirty-year boom following WWII), as well as during the Cold War. It was presented as the “terminal” expression of a now- extinct great modern utopia, its dying breath. The brutalist aesthetic—once called the “romanticism of the mal foutu (the badly made, or misshapen)” by Le Corbusier—combined a potential vision of the future, whose duty was to respond to the new needs of a mass society, with archaic principles of construction, thus creating a paradoxical image of buildings that seem to have foreseen their own obsolescence. Today unpopular, associated as they are with the aesthetic of the “ugly” and the social divide created by a collective imaginary now influenced by the standard neutrality of the bungalow aesthetic, these buildings convey the asynchronous image of a modernity fallen into disuse, a kind of inter-zone that continues to be traversed and inhabited nevertheless. 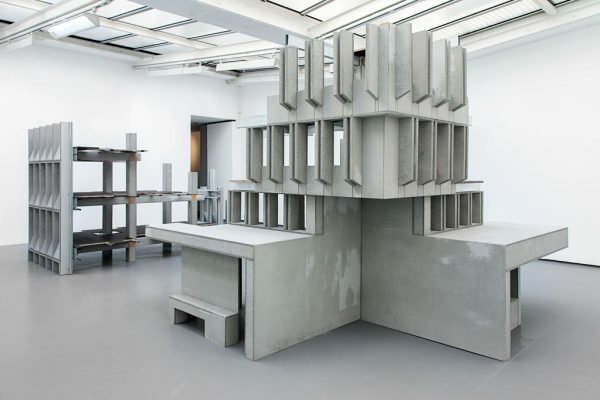 By rebuilding these constructions, by having them be contemplated, analysed, and read (one of the founding principles of brutalist architecture being the readability of a building’s structure) as fragments, real-fake simulacra, Nicolas Moulin temporalizes these ghosts, reassigns them a transitory function. 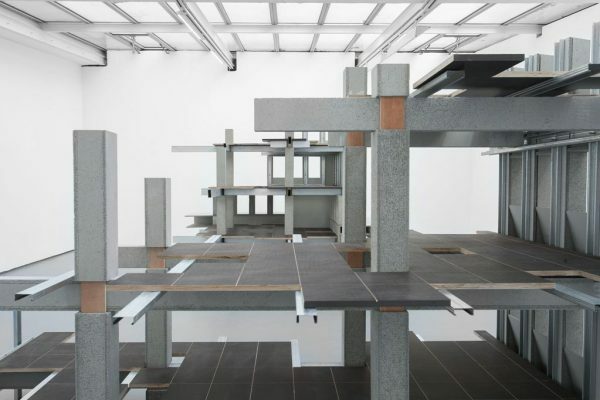 At once outsize model and sculpture bled dry, a potential space drained of its playful dimension, reminiscent of Matta-Clark’s building cuts, Steppterminal recalls these “white elephants”—monuments abandoned mid- construction, never having housed the human activity for which it was intended. Financially too costly, symbolically facing destruction, they remain unproductive monuments, concrete spectres that continue to inhabit the landscape of the living. 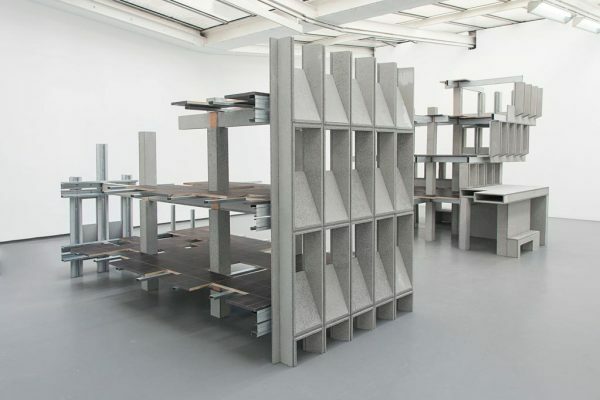 For this project, the artist must proceed as engineer, with precision and calculation, taking into account the weight, balance, gravity, and tension between the modules derived from an analogous material, in this case from by- products of concrete blends. 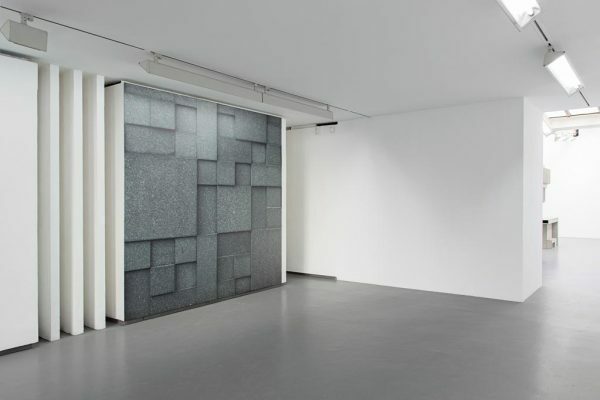 The entry 'Nicolas Moulin' was posted on December 16th, 2014 at 10:57 am	and is filed under Uncategorized. You can follow any responses to this entry through the RSS 2.0 feed. Both comments and pings are currently closed.